Stunning blue water calms, soothes, invigorates and imparts complete serenity. AquaActiv Pond Blue is a multi-functional solution—enhancing your pond’s look while delivering tangible benefits to its ecosystem. AquaActiv Pond Blue enhances the natural beauty of your pond, fountain or water feature by creating a cool blue shade of water that appeals to discerning tastes. It is eco-friendly and beneficial to the ecosystem; but provides the look of a custom detail, created organically. It provides shade by blocking harmful UV rays, preventing algae blooms from growing in the pond. Restricting algae growth is important to water clarity and pond health. AquaActiv Pond Blue helps protect fish by keeping them hidden from predators, such as large birds of prey, raccoons and opossums. 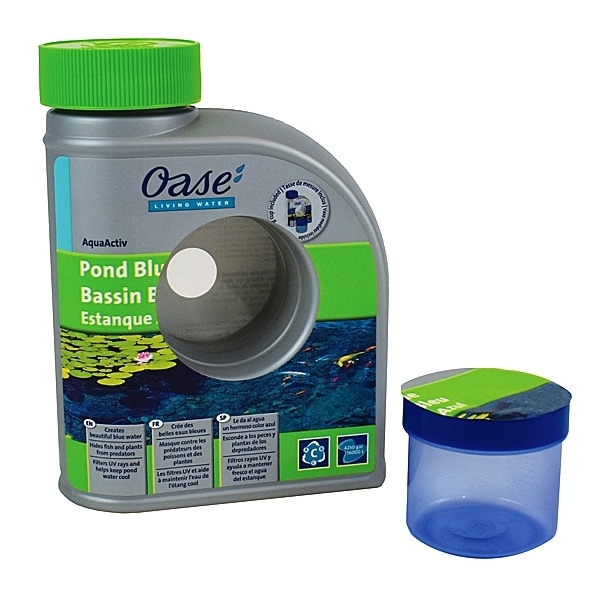 It is eco-friendly and non-toxic to fish, pets, wildlife and aquatic plants. 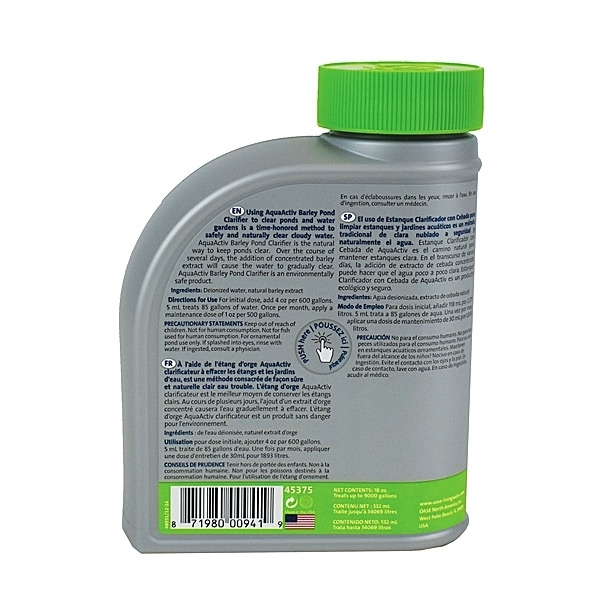 A 18 oz bottle treats ponds up to 4,250 gallons. 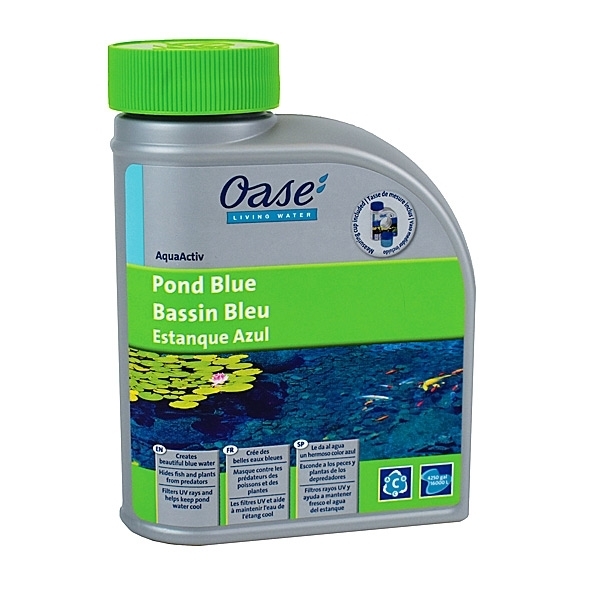 The creation of a beautiful blue oasis that nurtures aquatic plants and fish starts with AquaActiv Pond Blue.